Overtime is the span that someone works beyond their assigned working hours. 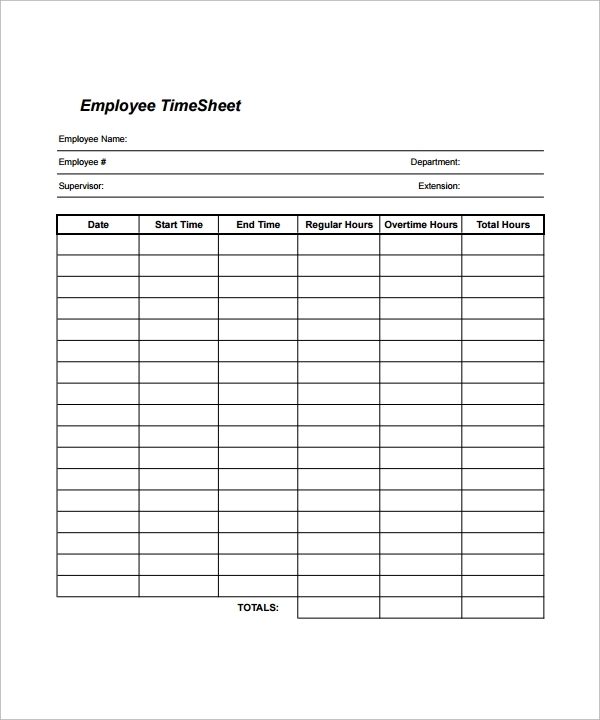 Companies may decide to make their workers work overtime in order to meet their supply or targets for a given period of Timesheet Calculator Templates. To keep a record of the overtime spent, a company may utilize an overtime calculator. 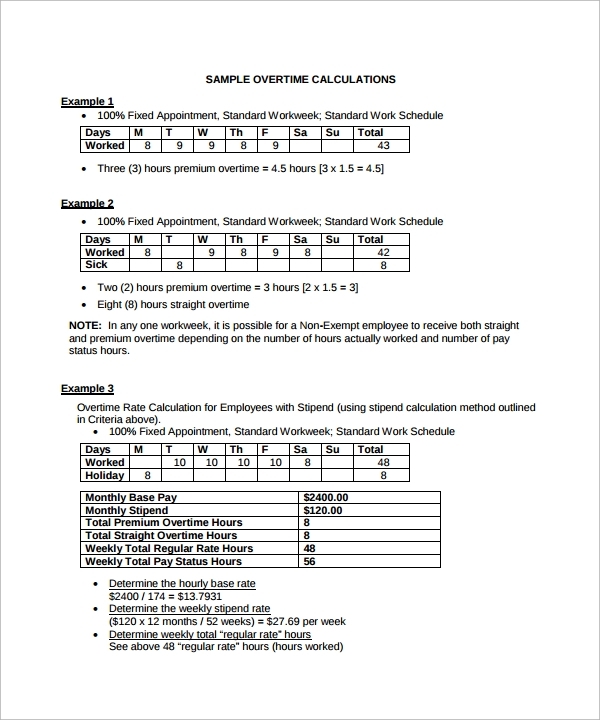 An overtime calculator template may be used to anticipate the hourly overtime pay and regulate the work done by each employee. 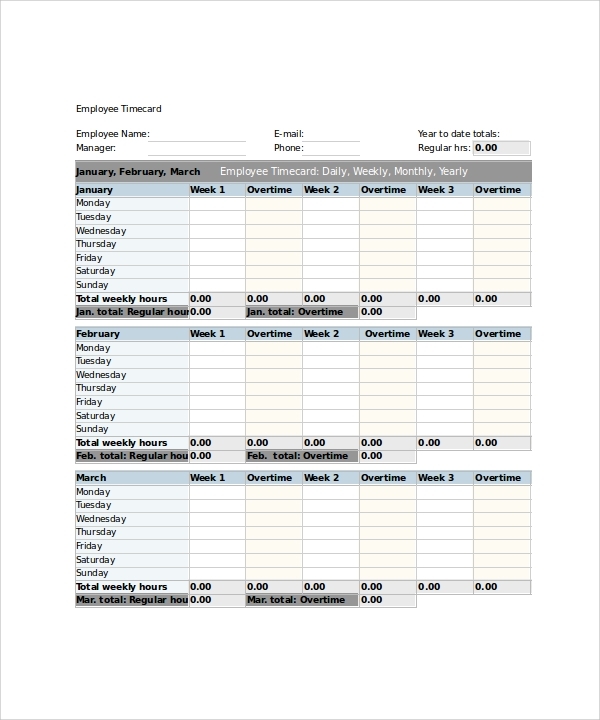 This template keeps a record of the weekly overtime of an employee. It documents the regular and overtime start and end time and the total hours spent in a day on a weekly basis. 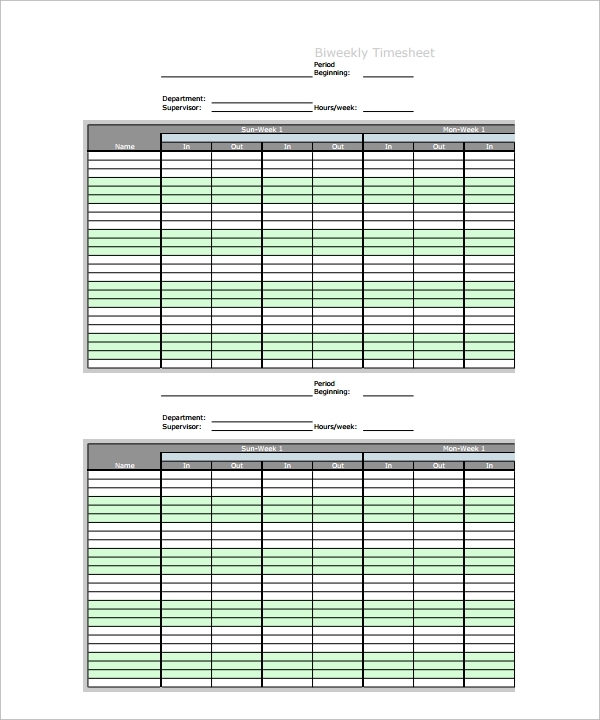 This template keeps a record of the employee name, date, duty hours, overtime hours, and wage per hour, total amount, and job done during that time. It is beneficial for calculating the overtime wage according to the work done and overtime spent. 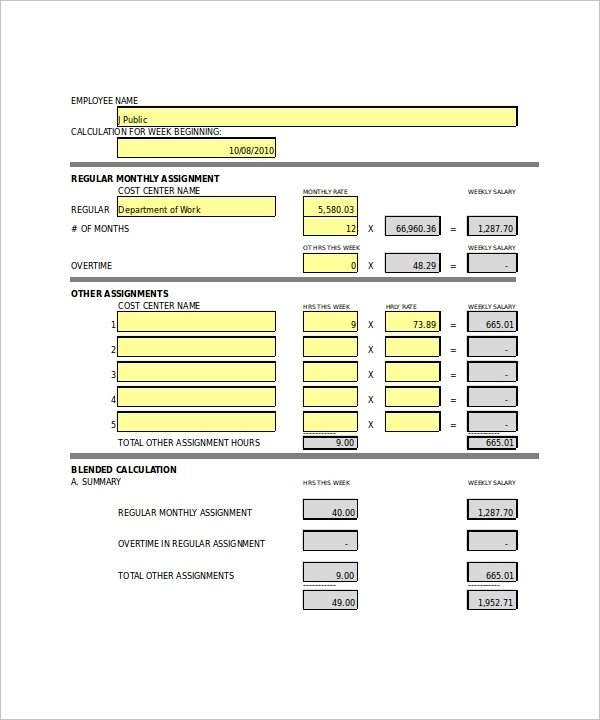 The regular and overtime are noted and the gross payment is then calculated. The overtime calculator with tax is again a weekly sheet. The log in time, logout time and the break time is noted along with the amount to be paid to the employee with implied taxes. This is a more simple way of calculating overtime paycheck. 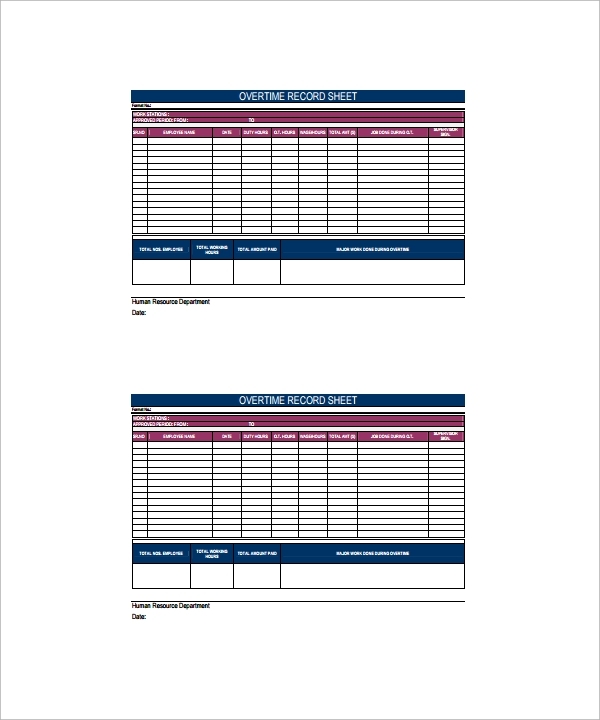 This sheet is generally a verification sheet by the supervisor and the approval by the employee. 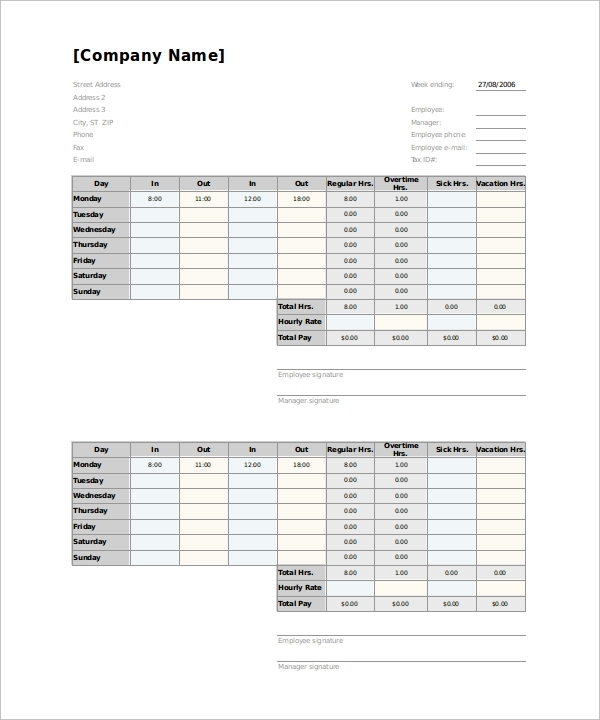 This template is a time tracking sheet. It records the weekdays work and cumulated difference from time. It also has a column for comments for not worked. It has been specifically designed to be used by employees thereby having a spreadsheet for managing and calculating the weekly rate for a given assignment and overtime work done. It gives the employees an idea about the amount of money they are paid for each assignment and also for the overtime hours. Why is the Overtime Calculator Required? This helps to save time and lengthy manual calculations. With this tool, one can determine the time worked by any employee very accurately and make a paycheck record. This is essential to keep a record of the regular hours, overtime hours, sick hours and vacation hours. According to the data, the total pay is calculated. This tool can be used as a general guidance as well as time management. Further, it helps reduce the manual error and to generate an accurate report of the timing of the workers. It is a helpful tool as it minimizes the risk of wrong paychecks and also saves a lot of time. It simply archives the names of employees, their total working hours, their overtime and regular working hours for weeks. 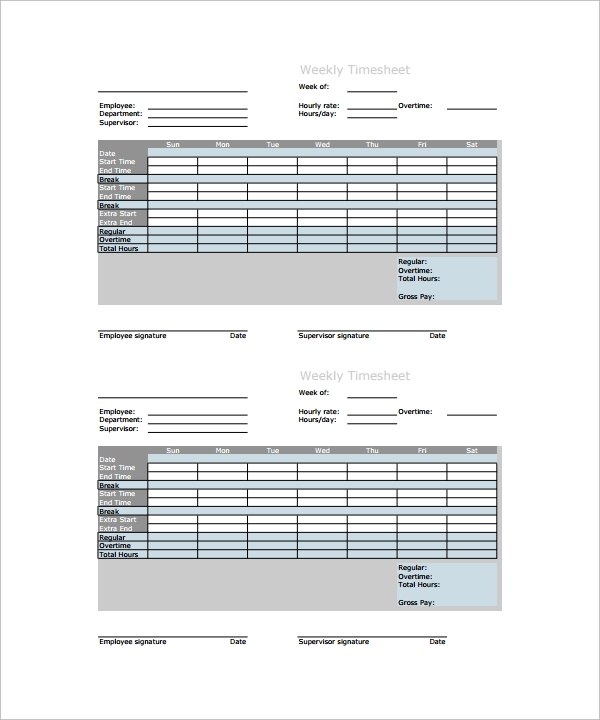 These Prinatable Overtime Calculator Templates helps efficiently managing the time spent working beyond office hours. 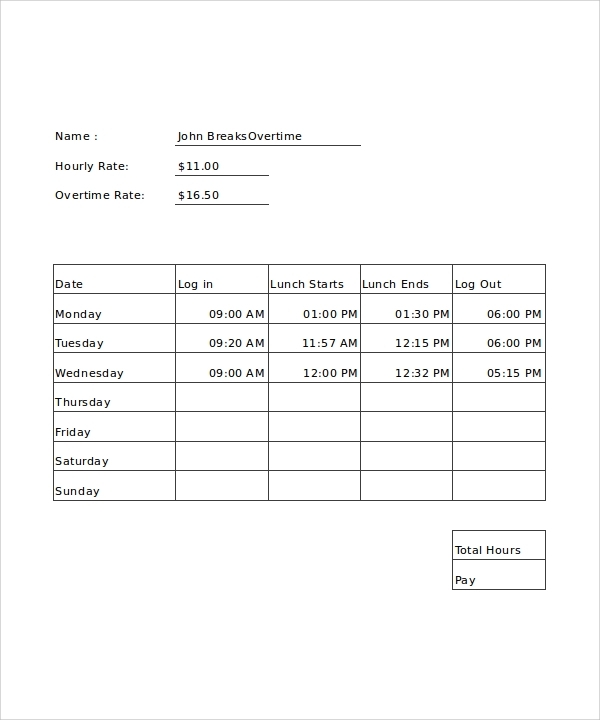 The rate per hour is noted for each day and then the total pay is calculated. Conclusion : It is designed very precisely in order to convert work hours into appropriate decimals for calculating the paycheck of any employee. 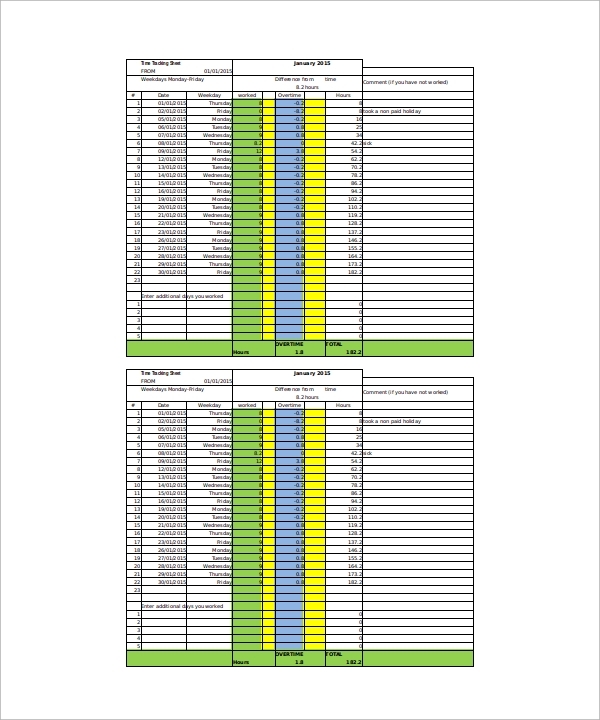 You can download it easily in PDF, Words and Excel format.